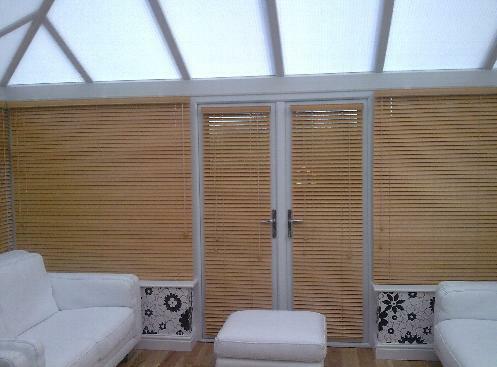 All types of blinds in Manchester and surrounding areas. Great Quality and value. No gimmicks, just good value, quality and old fashioned service to your door. Lots of colours, styles and patterns. We fit to domestic and commercial properties and also perform repairs too. Tracer Blinds specialise in the supply, installation and repair of all types of window blinds. We supply to both domestic and commercial premises throughout the North west region. Based in South Manchester, we are a small well-established company with a good reputation for quality and reliability. References are available on request. Call us today, we can normally visit you within 24 hours. We do not 'hard sell', we come and show you the products and if we have something you like, we hope that you order based on the quality and price of our products. As a small independent company, we are not tied to any manufacturer or supplier, which means we can source the best quality at the best price - something that we then pass on to our customers. Much of our work comes from repeat and recommendation business and we have an excellent reputation in the industry. Established in 2004, we have a substantial amount of experience in fitting and working with all types of blinds. You can choose from the comfort of your own home from the wide range of styles and colours in most types of blinds. All blinds are guaranteed and most can be supplied within a week - many are available the following day.